Be Filled: We must act in obedience to work in cooperation with the Spirit. To overcome this barrier, we must first understand com­munication theory in God’s design. The apostle Paul helps us un­derstand this very concept when he gave the Corinthian Church guidelines for the prophetic experience of the Spirit baptism. In regard to the evidence of the baptism in the Holy Spirit, Paul reminded the Corinthians that the prophetic gift of tongues re­quires an act of obedience and control by the speaker. He stated, “The spirits of prophets are subjects to the control of prophets” (1 Corinthians 14:32), and finished his thought encouraging them by stating, “be eager to prophesy, and do not forbid speaking in tongues. But everything should be done in a fitting and orderly way” (vv. 39-40). 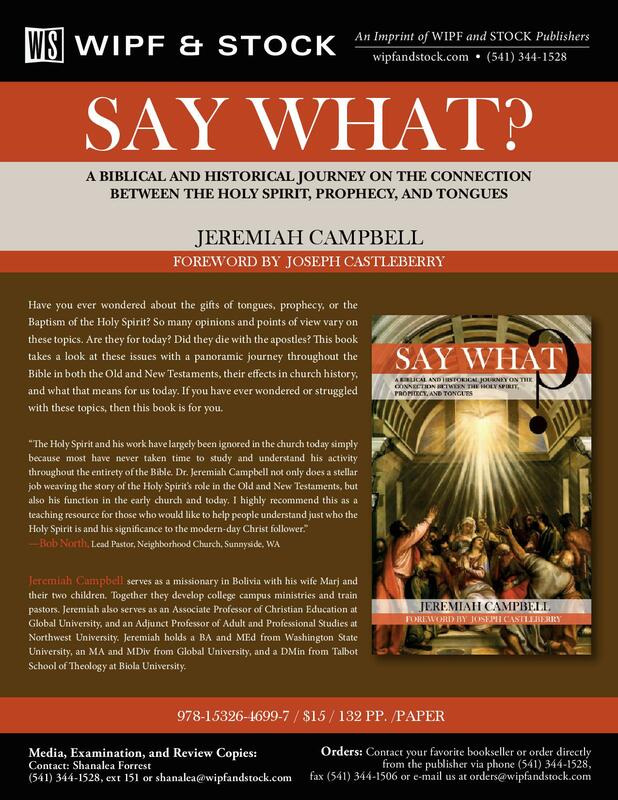 About the Author: Jeremiah J. Campbell, D.Min. (Talbot School of Theology, Biola University), M.Div., M.A. (Global University), M.Ed. (Washington State University) is a missionary to Bolivia with the Assemblies of God World Missions, and an ordained minister with the Assemblies of God. He is also an adjunct professor for Northwest University, and associate professor for Global University, and the national director for Global University in Bolivia. Jeremiah previously served as the national director for Chi Alpha Bolivia, an organization he developed into a national ministry. Before the missions field Jeremiah was a youth pastor at Neighborhood Church in Sunnyside, WA. 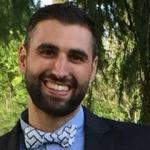 He also worked as a public school teacher and educational coach for the Grandview School District in Grandview, WA. Jeremiah is the author of The Foundation of the Assemblies of God of Bolivia: A Perspective through the Eyes of the Founding Missionaries (2016), and Say What? : A Biblical and Historical Journey on the Connection between the Holy Spirit, Prophecy, and Tongues (Wipf & Stock, 2018). Jeremiah married his best friend, Marjorie in 2005, and they live with their two children in Cochabamba, Bolivia. Facebook. LinkedIn. Website.